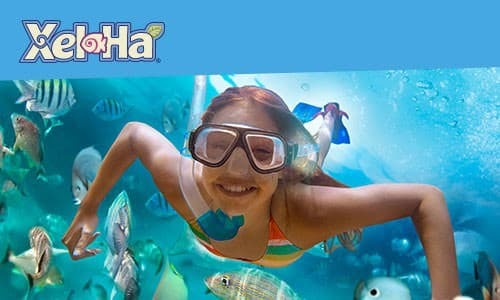 Either from Cancun or Riviera Maya, take the most complete and unique archaeological tour to Chichén Itzá, Mexico. 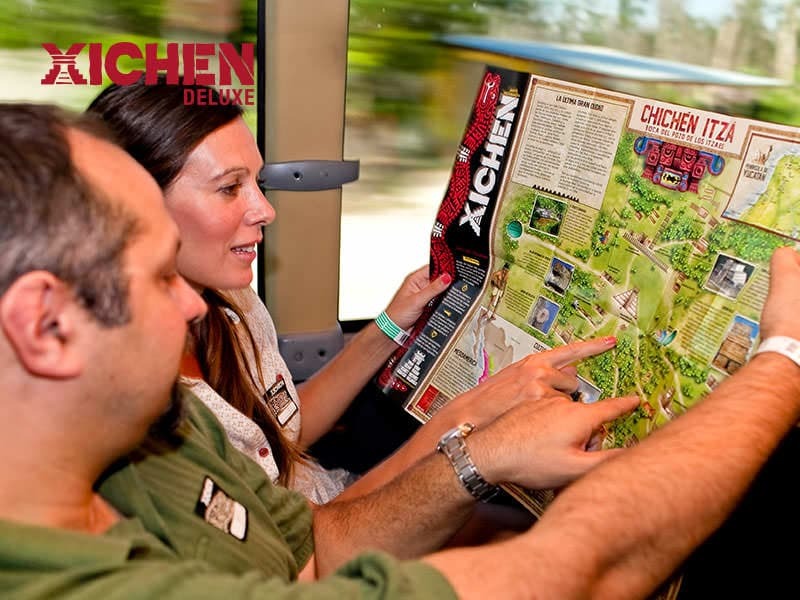 Travel in a luxury bus to one of the seven wonders of the modern world: Chichén Itzá, while you enjoy an onboard gourmet breakfast. 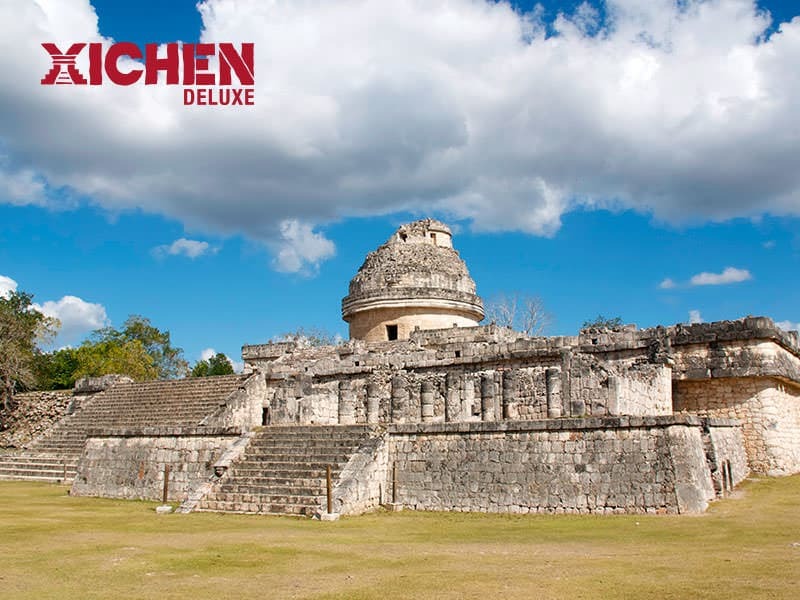 Make a guided tour through its imposing mayan vestiges, famous for the mathematical precision with which they were built. 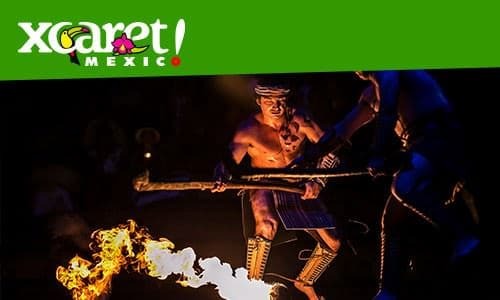 Xichén Deluxe Tour includes visit to colonial city of Valladolid, where you will admire the beauty of Zací cenote, and delight an exquisite Yucatecan buffet meal in a beautiful 18th century mansion. 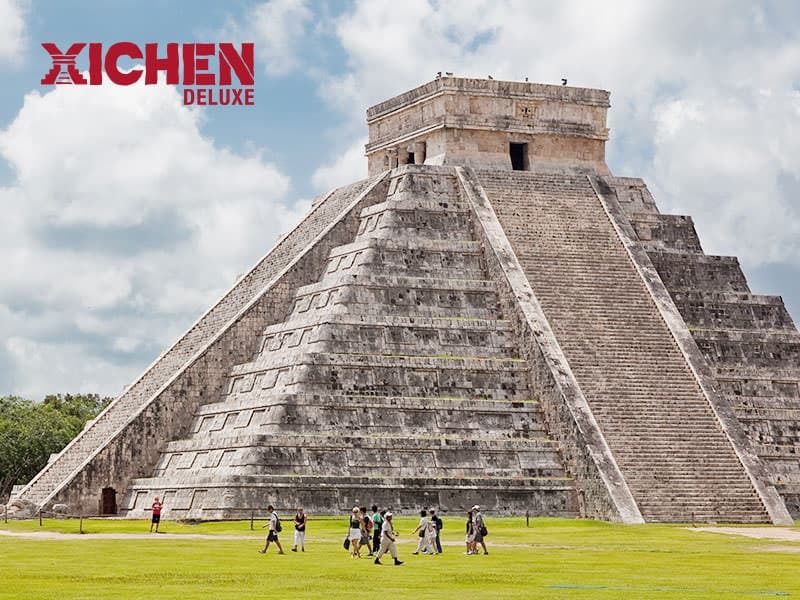 Experience the majesty of Chichén Itzá, World Heritage site, with the most luxurious tour of Cancun and Riviera Maya! Access to the Chichén Itzá archaeological site. 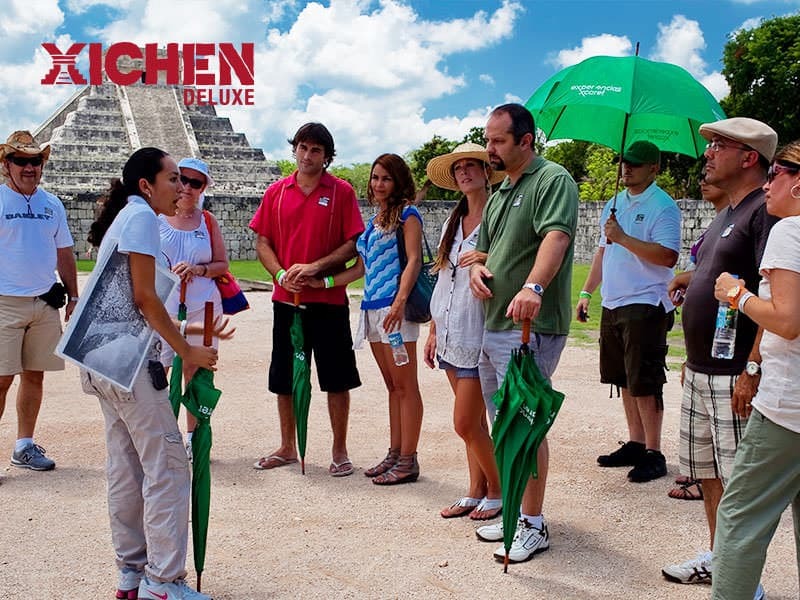 Tour with certified bilingual guide (1 h 15 min approximately) and free time at Chichén Itzá (1 h approximately). Radio guide system with headphones. Sun umbrella during the site’s tour (one per couple). Bottle of water with bottle holder at the archaeological site. Soft drinks, water and beer at the end of the tour in Chichén Itzá. Light gourmet breakfast on board the bus (baguette, fresh juice, muffin and coffee). 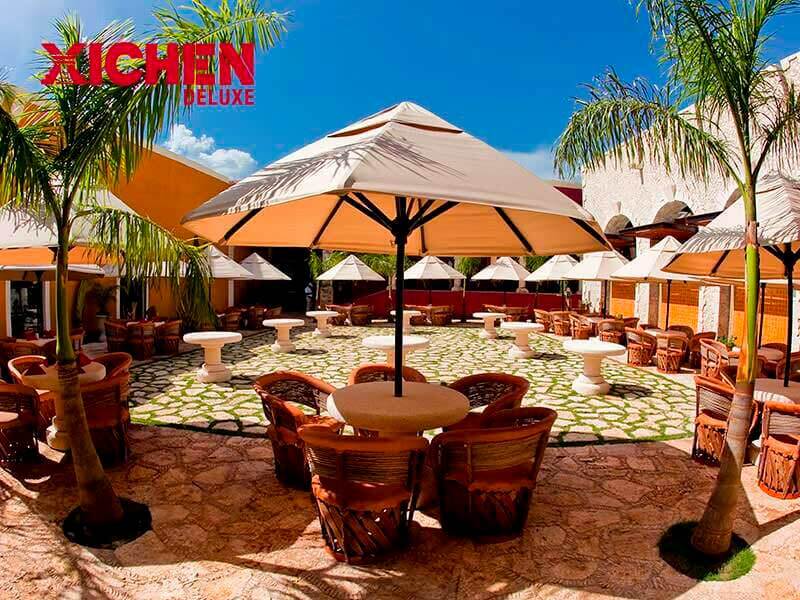 Buffet meal of Yucatan specialties and unlimited beer and non-alcoholic beverages at La Casona de Valladolid restaurant. Remember to bring the printed proof of purchase of your tour. Confirm the time and place of departure of your transportation. Use fresh clothes and comfortable shoes for walking, a hat and sunglasses.